32' Lucas Paqueta 35' Richarlison 36' Machado A. 60' Габриэл Жезус In: Roberto Firmino 60' Everton In: Lucas Paqueta 72' Felipe Anderson Gomes In: Arthur 73' Mejia Luis 74' John Fajardo In: Торрес Габриэль 82' Walker E. In: Купер А. 85' Блэкмэн Cesar In: Мурильо Майкл 85' Омар Браун In: Альберто Кинтеро 89' Арройо Абдиэль In: Родригес Х.
Eder Militao (Brazil) makes a terrific run to get on the end of the free kick and powers a header just over the bar from close in. Omar Browne (Panama) tackles a bit over-zealously and Joao Pinheiro blows for a foul. It's a free kick to Brazil, but they probably won't attempt a direct shot on goal from here. A substitution has been made. Anibal Godoy is replaced by Jan Carlos Vargas Campo (Panama). Philippe Coutinho (Brazil) takes the corner kick and sends a lovely ball into the penalty area, but the opposition's defence is ready and knocks the ball to safety. Brazil take the corner, but their hopes of scoring a goal end with a nice clearance by the defence. Philippe Coutinho (Brazil) puts a cross into the box from the free kick, but the defender gets there first. The referee blows his whistle, Brazil are awarded a corner kick. Omar Browne (Panama) commits a rough challenge and Joao Pinheiro blows his whistle for an infringement. Brazil will take a free kick near the side line. Here's the change. Jose Rodriguez leaves the pitch and Abdiel Arroyo (Panama) comes on as a substitute. Jose Fajardo Nelson (Panama) makes a strong challenge and Joao Pinheiro blows for a foul. Philippe Coutinho (Brazil) works the corner short instead of sending the ball into the penalty area. Omar Browne (Panama) carelessly slides into the feet of his opponent and he'll be lucky to avoid punishment. Joao Pinheiro blows for the foul but keeps his cards in his pocket on this occasion. Philippe Coutinho (Brazil) sends a long ball in, but Luis Mejia comfortably gathers the ball. Today's match ends for Michael Murillo who will be replaced by Cesar Blackman (Panama). Julio Dely Valdes prepares a substitution. Alberto Quintero is replaced by Omar Browne (Panama). Substitution. Ernesto Emanuel Walker Willis (Panama) has come on for Armando Cooper. Joao Pinheiro has a clear sight and sees a foul from Everton (Brazil). Richarlison (Brazil) leaps highest to meet the resulting corner and attempts to head home, but the effort goes harmlessly wide of the left post. The ball is off of the pitch and it's a goal kick for Panama. The referee points to the corner flag and Brazil will take a corner. Philippe Coutinho (Brazil) puts a dangerous cross into the box, but the corner is cleared by the first man. Julio Dely Valdes has decided to make a change. Jose Fajardo Nelson (Panama) replaces Gabriel Torres. The corner by Philippe Coutinho (Brazil) lacks accuracy as it's hit with too much power. The referee Joao Pinheiro awards Luis Mejia (Panama) a yellow card. Casemiro (Brazil) unleashes a bullet of a shot towards goal from the free kick, but his attempt is denied by the goalkeeper. It's a free kick to Brazil, but it's in no position for a direct shot on goal. Arthur will be replaced by Felipe Anderson (Brazil). A cross arrives in the goalmouth from the resulting corner kick. Casemiro (Brazil) outjumps the defence, but his promising header bounces away off the bar! Now Brazil have a corner. Richarlison (Brazil) makes space for himself in the box after some nice work, but his shot is immediately charged down by a defender. Brazil force a corner. Their opponents will face another attacking threat. A quickly taken corner by Brazil. Richarlison (Brazil) bursts inside the box, beats two defenders and produces a strike from the penalty spot. The shot has power, but lacks precision and the goalkeeper stops it easily. The scoreline remains the same. Brazil get a corner. Brazil didn't take advantage of the corner and score as the opposition's defence was alert and averted the threat. Philippe Coutinho (Brazil) sends a teasing cross into the area, but Luis Mejia intercepts the ball. The free kick is delivered by Philippe Coutinho (Brazil) but it's not one of his best and is easily cleared. Fagner (Brazil) tries to send a low pass into the box, but it's blocked and cleared. The linesman raises his flag as one of the players from Panama was in an offside position. Panama have been awarded a free kick. 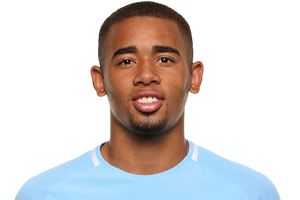 Adenor Leonardo Bacchi has decided to substitute Roberto Firmino and he is replaced by Gabriel Jesus (Brazil). Substitution. Lucas Paqueta makes way for Everton (Brazil). Lucas Paqueta (Brazil) receives a precise pass and is given time inside the box to send a promising strike towards the middle of the goal. Luis Mejia guesses his intention and denies him with a fine save. Philippe Coutinho (Brazil) attempts to find one of his teammates with a ball from a free kick outside the box. The goalkeeper climbs high above all the players in the box to intercept the cross and snuff out the opportunity. The game is interrupted as Jose Rodriguez (Panama) is flagged offside. Eric Davis (Panama) sends in a lofted cross from a mid-range free kick, but his poor effort goes out of play. The ball goes out of play and Brazil will have a goal kick. Alex Nicolao Telles (Brazil) holds his opponent to prevent him from getting the ball and the referee blows for a foul after seeing the whole situation. It's a free kick to Panama in a dangerous position. What a poor attempt! Lucas Paqueta (Brazil) drives another shot towards goal - this time from further out, but it couldn't have been worse if he had shot blindfolded. The ball goes miles wide to the right. Jose Rodriguez (Panama) is obviously not following the Golden Rule: „Treat others as you want to be treated.“ He makes a bad challenge and leaves Joao Pinheiro with no other option than to blow for a foul. OFF THE BAR! Richarlison (Brazil) receives a lofted pass from the side and shoots from around the penalty spot, but the ball crashes against the crossbar. Jose Rodriguez (Panama) receives a clever pass and shoots from mid-range. His shot looks like it's going in the bottom right corner, but Ederson has other ideas and makes a brilliant save. A pass by Alex Nicolao Telles (Brazil) ends up in no man's land, and the attacking effort comes to an end. The ball is off of the pitch and it's a goal kick for Panama. Philippe Coutinho (Brazil) attempts to find one of his teammates with a fine lofted pass, but the defence reacts well to intercept the effort. Philippe Coutinho (Brazil) is caught offside! Jose Rodriguez (Panama) put a cross into the box which wasn't a bad decision, but he failed to achieve what he wanted as none of his teammates managed to meet it. The ball is off of the pitch and it's a goal kick for Brazil. Neat passing move from Brazil in order to create new attacking opportunities. Richarlison (Brazil) in a great chance! He climbs highest deep in the penalty box and strikes with a powerful header towards the net. Next time he should aim better. His effort ends wide of the right post. The ball is off of the pitch and it's a goal kick for Panama. The ball from the free kick finds its way to Adolfo Machado (Panama) who rises and scores with a thunderous header inside the left post. An incredible long-range header! Panama are awarded a free kick. The foul by Richarlison (Brazil) is worthy of a card and a yellow is duly shown by Joao Pinheiro. Lucas Paqueta (Brazil) finds some space inside the box to meet a beautiful cross and with a precise low drive puts the ball into the bottom left corner. A rebound sits up nicely for Jose Rodriguez (Panama) and he needs no second invitation to shoot from distance. The effort, however, slides well wide of the left post and out for a goal kick. The ball is off of the pitch and it's a goal kick for Brazil. Armando Cooper (Panama) swings in the corner, but it's comfortably cleared away. Alberto Quintero (Panama) connects with a pass but sees his shot from the edge of the box blocked. The ball goes out for a corner. Panama can continue in their attacking effort. Philippe Coutinho (Brazil) takes the free kick and curls the ball just over the crossbar. That was close! Brazil are awarded a free kick from a dangerous position. Joao Pinheiro shows the yellow card to Harold Cummings (Panama) for a heavy challenge. Arthur (Brazil) blows an opportunity as he sends a rebound from just outside of the box narrowly wide of the left post. Wasted effort! Arthur (Brazil) drives to the edge of the box after picking up a rebound, but his shot is tame and bends well wide of the left post. The ball goes out of play and Panama will have a goal kick. Richarlison (Brazil) delivers a fine lofted cross into the penalty area, but it's cleared by an opposing player. Richarlison (Brazil) climbs above the defence to meet the free kick, but plants his header well wide of the left post from close range. The ball goes out of play and Panama will have a goal kick. Armando Cooper (Panama) fouls an opponent. At least that's what referee Joao Pinheiro signals. Brazil are awarded the free kick. Great ball in from Alex Nicolao Telles. Roberto Firmino (Brazil) should really have done better with a close-range header, but he heads it a whisker over the crossbar. The ball is off of the pitch and it's a goal kick for Panama. The resulting corner from Philippe Coutinho (Brazil) is cleared. Fagner (Brazil) sends a lofted cross into the penalty area. Unfortunately for him, the opponent's defence deals with his cross comfortably and intercepts it. The referee and one of his assistants signal for a corner kick to Brazil. A lofted cross from Philippe Coutinho (Brazil) is unsuccessful as the opponent's defence quickly clears the ball out of the penalty area. It's a throw-in for Brazil. Brazil are showing great team chemistry. They are passing the ball around seamlessly. Panama continue the game with a quickly taken free kick. Richarlison (Brazil) trips an opponent with a slide tackle. Joao Pinheiro stops the game and he could give him a card, but eventually decides on just a warning. Panama will take a free kick. Casemiro (Brazil) brings his opponent down with a tackle and Joao Pinheiro blows his whistle for a foul. The free kick is taken by Philippe Coutinho (Brazil), but ball is cleared. Adolfo Machado (Panama) manages to dispossess his opponent of the ball, but he commits a foul in the process and the referee blows his whistle. Brazil win a free kick and will be able to apply some pressure on the opposition goal. Brazil try to maintain the tempo of the game by taking a quick free kick. Joao Pinheiro blows his whistle after Alberto Quintero (Panama) kicks an opponent's legs instead of the ball. Brazil win a free kick. Flag up against Richarlison (Brazil). He had space to move into behind the defence, but he went too soon. Fagner (Brazil) takes the corner with a short pass. Alex Nicolao Telles (Brazil) whips the ball into the penalty area, but one of the defenders is alert and spanks it away. The ball is out of play and the linesman points at the corner flag. Corner to Brazil. Brazil restart play with a quick free kick. Anibal Godoy (Panama) commits an ugly tackle on his opponent, but there is no caution from the referee. Brazil are given an advantage. They have a free kick. Richarlison (Brazil) breaks past challenges inside the box, but puts too much pace on his pass to Philippe Coutinho. The players are on the pitch and Panama will have the kick-off. Joao Pinheiro will officiate today.